Not my lemming, but it must be somebody's... a limited edition collector bottle of Proenza Schouler Arizona. 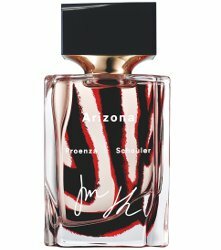 "The original Arizona Eau de Parfum reimagined in a Collector Edition bottle, featuring the vivid red and black archival print from the Spring 2017 Runway show." 50 ml for $100, available directly from the brand or at Saks Fifth Avenue.